vitamini handmade: New Valentine Cards in the Shop! Happy Friday! 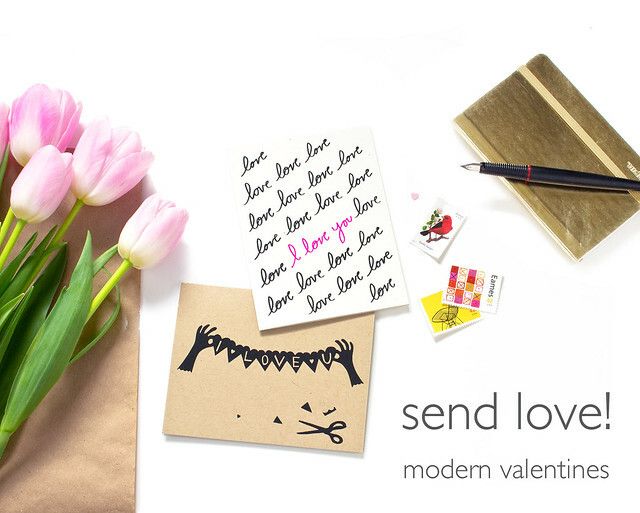 I'm excited to share one of the many projects I've been secretly working on with you today - New Valentine's Day cards! Truth is, I started designing these quite a while ago. That's the thing about the stationery business - you have to work pretty far in advance to be ready for each holiday. So while everything was thinking about fall leaves and pumpkin pie, I was channeling pink & red, hearts, and lovey-dovey stuff. I'm constantly cutting up paper and find it's a great exercise for generating new graphic design ideas. 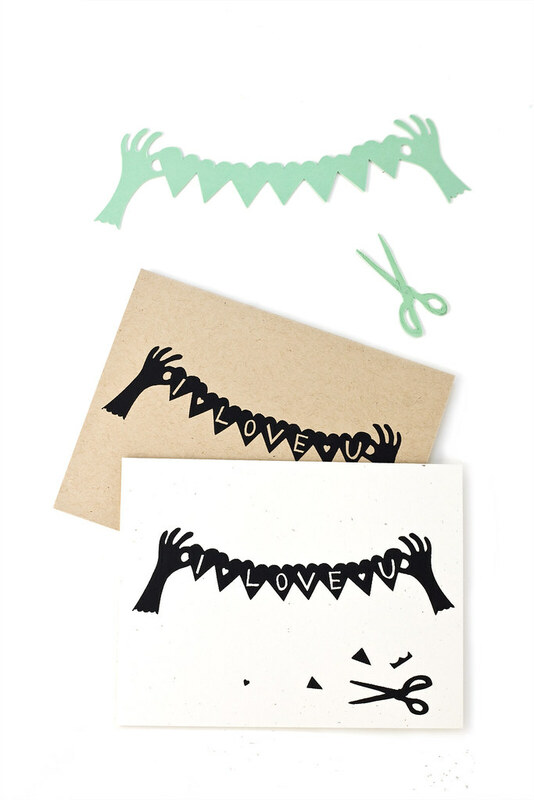 For this one, the "I LOVE U" card, I thought, why not a papercut design of a papercut design? You can see the original papercut in the photos. I added the lettering in Illustrator and then arranged the components (garland, scissors, paper scraps) and made a silkscreen to print the actual cards! It's available in kraft brown and natural white. 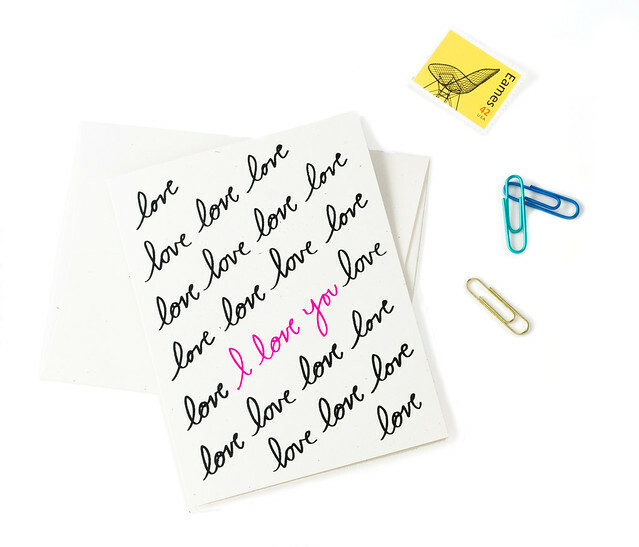 I wrote out a simple script pattern of the word "love" for this one, with "I love you" accented in neon pink. It's a pretty, graphic card that's perfect for Valentine's Day, or any other day when you need to say those three words. 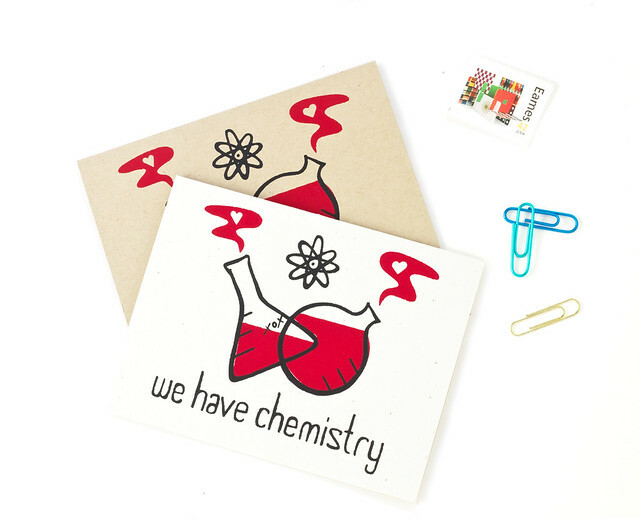 Both new cards and favorites from past years (like these fun Chemistry cards) are available in my shop! I'm also running a promotion - any 4 cards for $16, so stock up if you want to really share the love this Valentine's Day.